The former Rolling Stones hellraiser loves spending time with his young family, and considers himself "a lucky man". 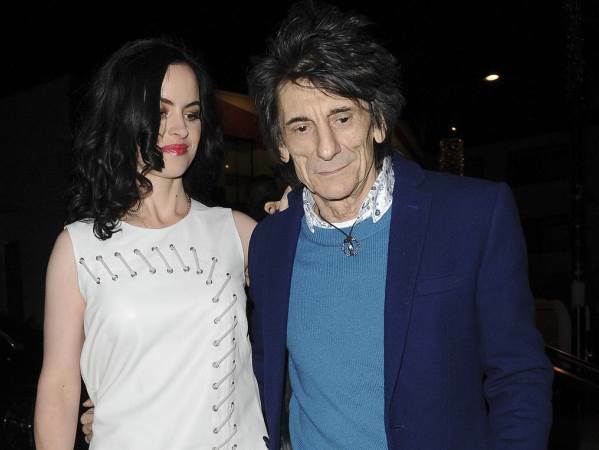 The former Rolling Stones hellraiser, who welcomed his fifth and sixth children, twin girls Gracie Jane and Alice Rose, with wife Sally last year, loves spending time with his young family, and considers himself "a lucky man". Ronnie and Sally married in December, 2012, after a whirlwind six-month romance. The theatre producer gave birth to their twins - her first children - last May. The rocker, who is worth an estimated $51 million (nearly R 648 million), also has adult children Jesse, with first wife Krissy, who passed away in 2005, plus Leah, Tyrone and adopted son Jamie from his marriage to Jo Wood.